A good sale to Cancun. Extremely limited dates, but if they work for you, enjoy. Unless you a Delta frequent flyer, you would earn more redeemable miles crediting this to Alaska Airlines if you take a routing that is 100% operated by Delta with Delta flight numbers. You will earn 50% mileage or 2,231 miles when crediting to Alaska with this routing. Mileage accrual will vary depending on routing. 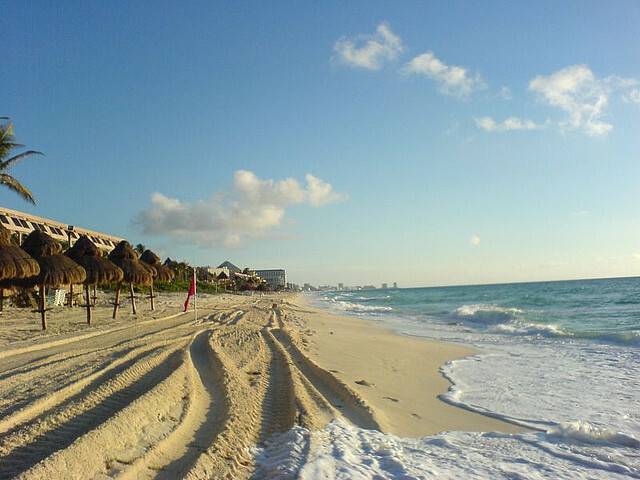 One Response to "Delta – $271: Washington D.C. – Cancun, Mexico. 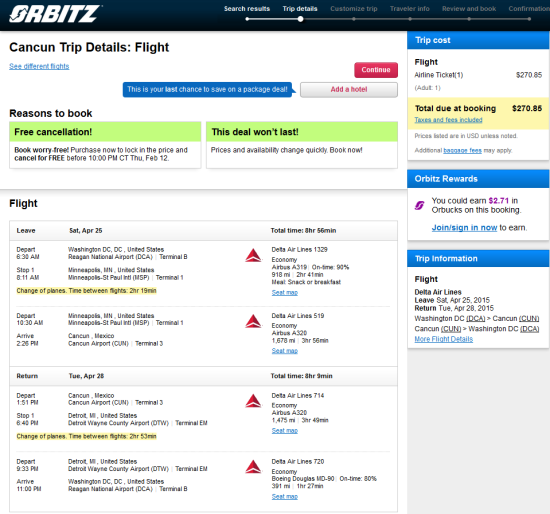 Roundtrip, including all Taxes"
I actually got this for $183 on orbitz!! Thanks for the alert!